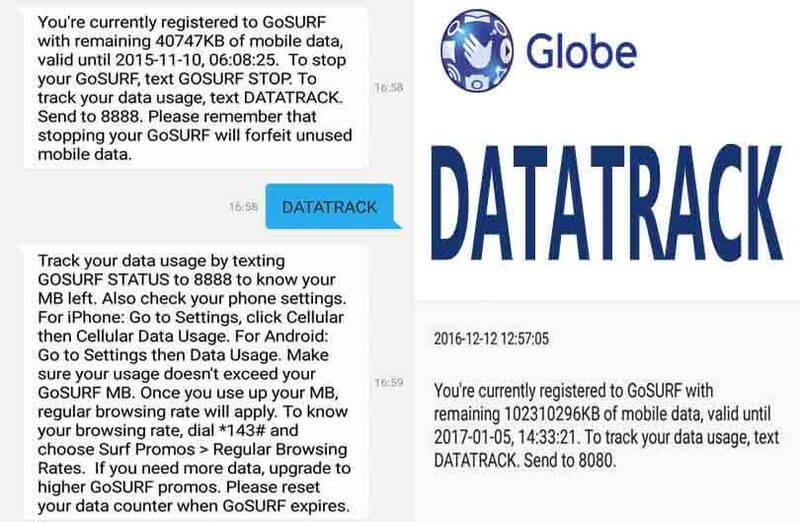 There are few ways you can use if you want to check your remaining data used when you subscribed to Globe GoSakto GoSurf promos. You can inquire how many KB’s, MB’s or GB’s left via data manager app or use the USSD menu *143# and then thru SMS. It’s up to you on what method you are comfortable with on checking your account. 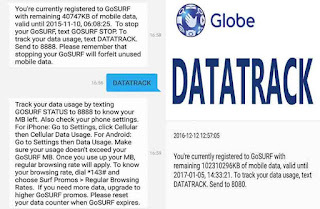 If you’re not registered to Globe unlisurf promo and need to monitor your mobile internet usage, you can use their data tracking service for free thru text. Use DATA TRACK keyword to check your Gosurf status, it will provide you the details on the expiry date, usage and other helpful information. Just follow the correct format and access number for your reference. Monitoring your remaining data is very useful as Globe also offers EXTEND a Gosurf promo for 5 pesos, where you can roll over your un-used data for another day.